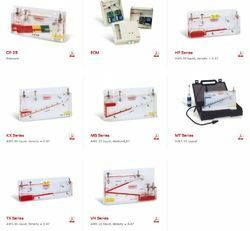 Complete and Full Range of Liquid Column Manometers. Tube and Column Manometers are used to measure Differential, Relative, Depression, and other Pressure Rattled Parameters. AWS 10, VOLT 1S or MERCURY. 487 connectors and a bottle of liquid. Kimo offers a full and complete range of U Tube Column Manometers. Manometers for Pressure Measurement in Air Ducts, for Filters, Process, and Induistrial Applications. Manometer with Switches and related. Looking for Inclined and U Tube Column Manometers ?